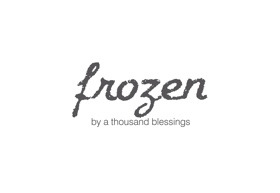 Frozen By A Thousand Blessings is proudly Australia’s first frozen yoghurt to use biodynamic milk and yoghurt. Locally owned and run, we have been supporting the Biodynamic Farming Industry for the last seven years. Beginning our love of fresh, organic and local produce at A Thousand Blessings Cafe, a small family run cafe in the heart of Melbourne.